If you are looking for a professional mover for your relocation to or from the Iron Mountain, MI area, look no further than Guindon Moving & Storage. Whether you are moving to the great city of Iron Mountain, or away from it, our team of reliable movers has the fortitude to safely move your belongings with the customer service you deserve. Guindon Moving & Storage has what it takes to expertly perform long-distance moves, local moves, and international moves on time and on budget. With over 80 years of experience performing all kinds of moves in Northern Michigan and Wisconsin, we are a trusted name in the moving and storage industry. Our movers know how important your move is, and we make it our mission to make sure every detail is taken care of for your family or office relocation. Our vast experience has taught us what it takes to survive through the ups and the downs, and that is keeping the quality of our work high. Iron Mountain is a beautiful and majestic city in the Upper Peninsula of Michigan that is home to around 7,500 Michiganders. Iron Mountain gained notoriety for its great iron mines in the late 1800’s. The discovery of Chapin Mine in 1879 brought Italian, Cornish and Swedish immigrants to the mining town. Iron Mountain is the home of some notable public figures such as Michigan State men’s basketball head coach Tom Izzo, the Governor of Wisconsin Walter S. Goodland, and former NFL head coach Steve Mariucci. Nowadays, Iron Mountain offers forests, rivers, art, outdoor recreation, and affordable housing, and is a short drive from the Nicolet National Forest. Any outdoor enthusiasts will fall in love with the charm and authenticity of the area and its humble people. Removed from the clamor found in big cities, Iron Mountain is a comfortable place for people who love to spend time enjoying nature in all its unkempt glory. When you move to Iron Mountain, you will see that the great outdoors is on display here during every season. In the Summer, great times can be had on the local links at the many highly rated golf courses in the area. Timberstone Golf Course and Pine Mountain Resort are consistently rated as one of the top courses you can play in Michigan. Pine Grove Country Club was founded in 1902 and is a semi-private club featuring a well preserved, scenic golf course that is challenging and beautiful. 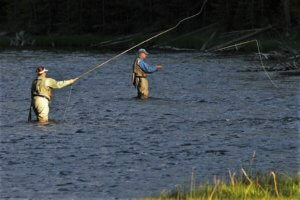 The winter months offer skiing, snowshoeing, and ice fishing. Giant Pine Mountain Ski Jump is in Iron Mountain and is the place to show off your skills on the slopes when there is fresh powder. Whether you are planning to move your family or business to or from Iron Mountain, MI, you will want to hire a moving company that is known and respected in the community. 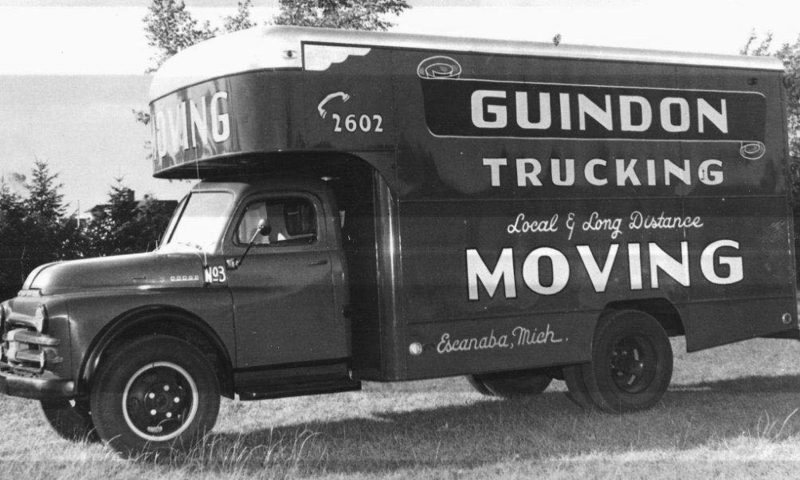 Guindon Moving & Storage has been family-owned and operated for over 80 years, and our movers are always professional and courteous to our customers. When you move with Guindon Moving & Storage, you are in the hands of people just like you who understand they aren’t just moving stuff from point A to point B. We treat our customers and their belongings with special care as if they we our own family. Moving can be a stressful time, and we understand this. That’s why we take our time to assure our customers that their voices are being earnestly heard. To begin your moving process with Guindon, contact us by phone or fill out our online form for your free moving quote.